You might know him as the artist whose works are collected by the likes of Pharrell Williams, and you're probably familiar with the vinyl figurines of his instantly recognisable "Companion" characters. 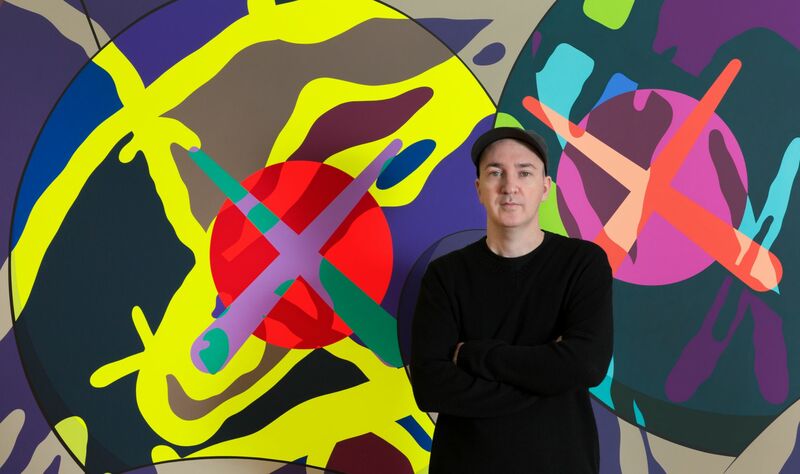 There's no question that KAWS, real name Brian Donnelly, is one of the most relevant and important artists of his generation. But how much do we really know about the New York-based artist? At the opening of his solo exhibition at Perrotin in Hong Kong, we sat down with KAWS to talk about how public art can transform communities and why making art more accessible to all is the key to making the world feel a little cosier. Back when I was doing graffiti, it seemed shocking that you could even have a career as an artist. I imagined I would end up doing a job in the arts, like graphic design, just something that would subsidise my interest in what I was doing in the streets. Honestly, what I do now isn’t much of a departure from the street art and graffiti I was doing. I try not to think about things like that too much. I tend to just focus on what I’m making. It’s nice to come to a different country, meet different people, but I wouldn’t let it change the work I’m going to make. From the beginning, I’ve always created art with the idea of communication behind it. You get into graffiti when you’re younger because you don’t just want to make artwork in your room for only you to see—it’s about getting work in front of people and creating a dialogue. I feel very comfortable having my work in front of people. At this point in my life, it’s perfectly normal. I think public art definitely creates more personal spaces or great art destinations that add character to a landscape. It changes lives and neighbourhoods. I think a smart building can work in the same way. After all, architecture is its own form of art. At the end of the day it’s about creating a feeling; what’s in that space can dictate your mood and your experience. Collaboration gives you access to a new audience and the opportunity to work with somebody who can take you out of your box, to gain insight into how they would approach a problem. You can gain from that in a positive way or…well, I guess it’s all positive. My recent project with Uniqlo seemed like the best evolution in terms of collaboration with my work. Before, I did collaborations on a small scale with brands like Original Fake, A Bathing Ape and so on. That was going from the late 90s to 2000s and I feel things have changed. It’s not fair to create a work and make it so exclusive or limited to the point where things get sold over and over for dumb prices. The beauty of Uniqlo is that there are 2000 stores worldwide, and there’s now a kid in Bangkok or Korea or New York who can feel like if they want to be part of something, they can.